Wat Phra Sri Maha Uma Devi Temple or Wat Khaek is located on Silom road in Bangkok’s central business district. 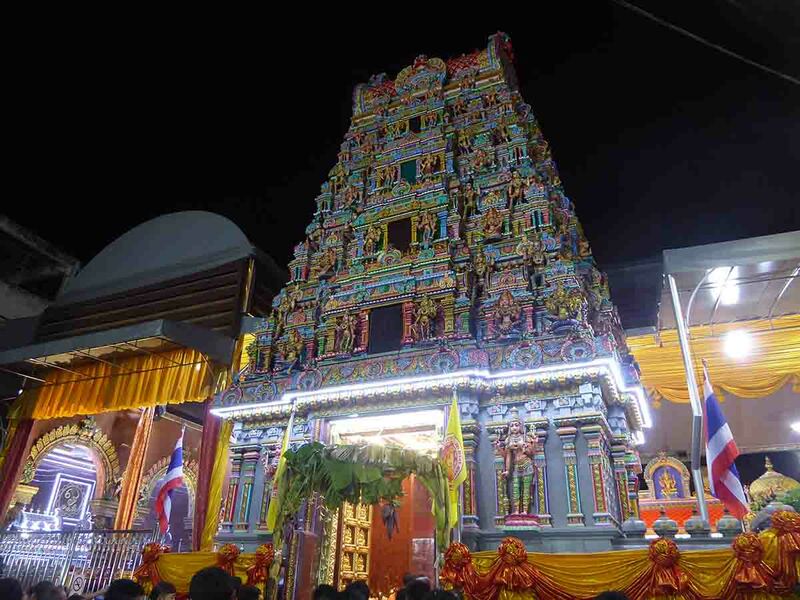 It is the main Hindu temple in Bangkok and was built in 1879 by Tamil immigrants in a south Indian architectural style. The outside of the temple is very colorful with carved images of various gods and goddesses in different shapes and sizes. The main shrine of the complex is housed under a gilded copper-plated dome. 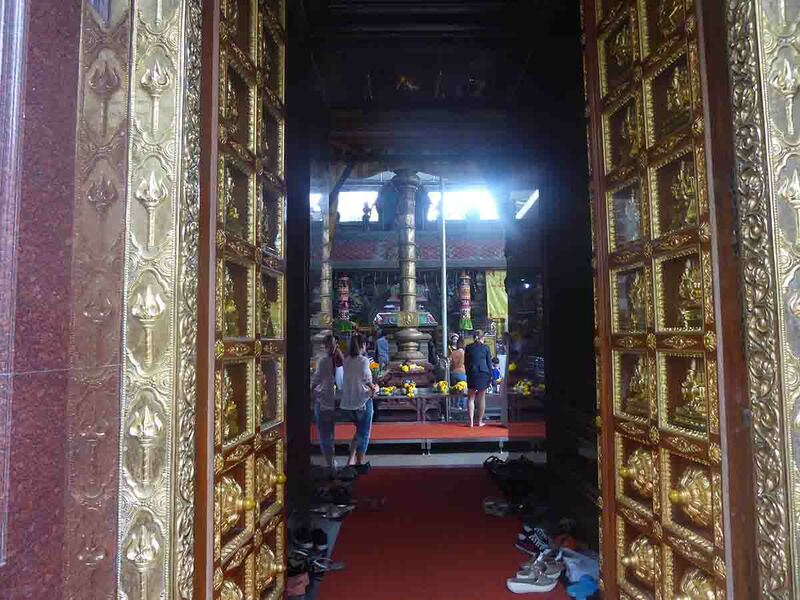 Within the temple, there are shrines dedicated to Ganesh, Kartik, and Phra Sri Maha Uma Devi who is the principal goddess enshrined in the main shrine. Uma is the goddess of disease, rain, and protection. Worshippers believe she can help them in matters of love and fertility. Worshippers offerings comprise of flower garlands, young coconuts, and bananas which are sold outside the temple. Meat should not be offered. There are also minor shrines dedicated to the gods Shiva, Brahma, and Vishnu. 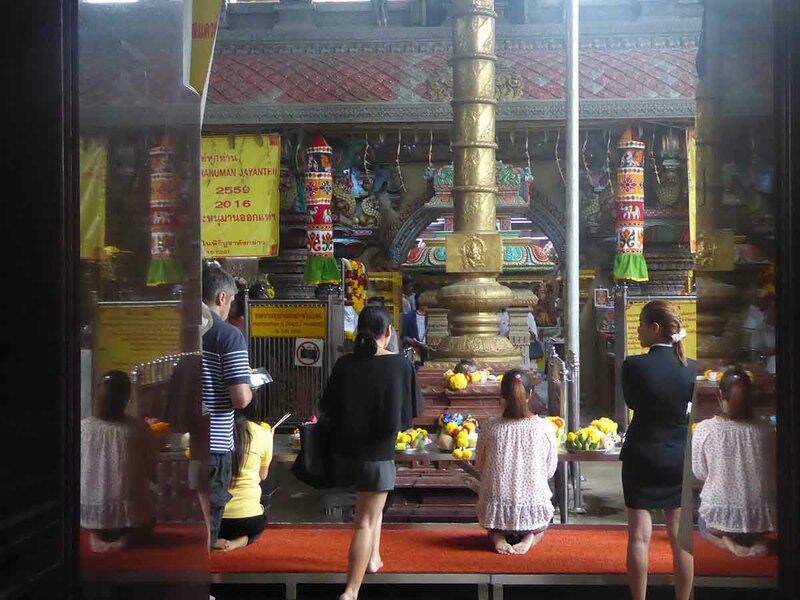 The temple is also popular with Thai and Chinese people who believe that Hindu gods can help them in business. Every year in September/October a 10-day festival called Navaratri is celebrated at the temple to worship Uma. 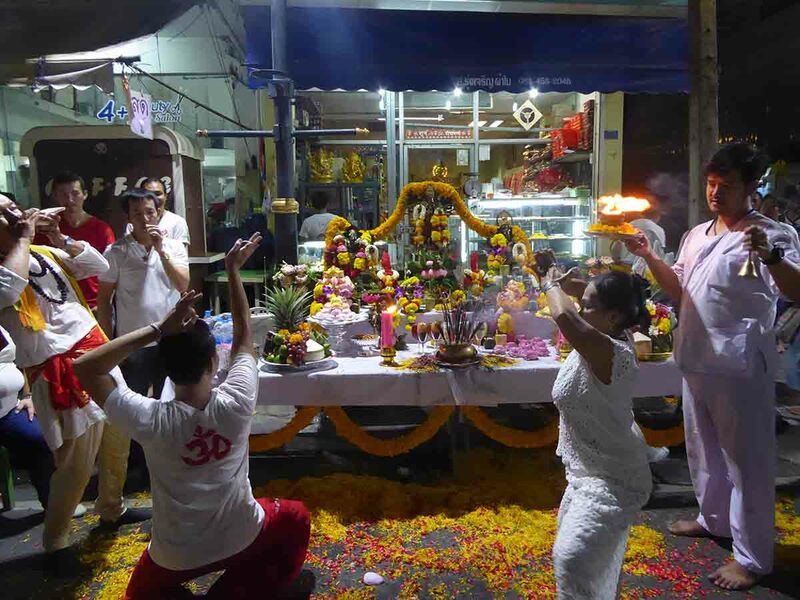 It is held for 9 days and nights followed by a parade on the 10th day when a Uma image is carried through the local streets in a procession and part of Silom road is closed for this event. 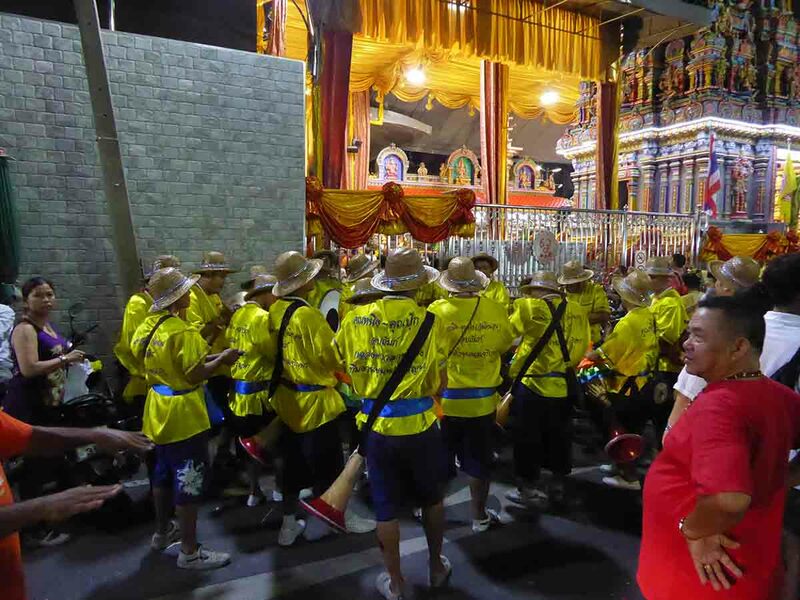 The street outside the temple is colorfully decorated with yellow flower garlands and candles. Worshippers at the festival believe that it will bring them relief from bad luck. The Area around the temple is home to a large Indian community with many Indian restaurants, and shops and is worth walking around. Photography is prohibited inside the temple. Rules: No shoes or photography allowed in the temple. Bus: No. 15, 76, 77, 115, 117, 147, 163, 164, 504, 514, 544, 547. BTS: Sala Daeng station, then a 15-minute walk down Silom Road.